Mid-morning and afternoon snacks are considered the most important supplemental meals for kids. If breakfast is the most important meal of the day but all you can do is rush through it as a family because you have to get the kids to school before you go to your workplace, it’s time to consider preparing more nutritious snacks for your kids to eat at school. After spending at least eight hours sleeping, your child will have to come up with the energy for schoolwork and play. Munching on cereals in record time and gulping half a glass of milk can supply that energy, but he must also eat healthy snacks at mid-morning for maintaining a high level of energy. Now, let’s define what a healthy snack is. A healthy snack must be filling enough to keep your child from starving until lunch time, yet be nutritious enough to pass as power breakfast food. Carbohydrates and protein-rich food with very low transfat and sugar content make the ideal power snacks for your kids. 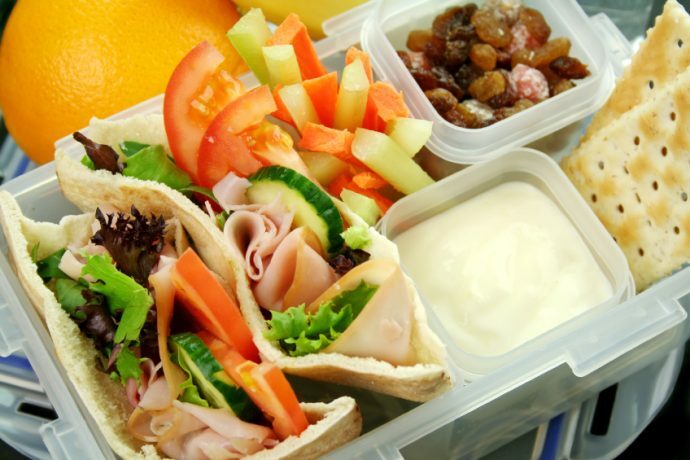 If you’re looking for something healthier to pack in your child’s school lunchbox, here are some alternative ideas. These snack foods are awesome on their own, if your kids stick with them. However, these snacks have to weigh more in your kids’ mind than the ultimate sweet treats… candies. You know by now that candy not only has very little nutritional value, it can also damage your child’s teeth. Most kids feel great after eating candy for snacks because of the sugar rush, but if eating candy during snack time becomes a habit, it’s just a matter of time before your child shuns healthy snacks altogether and simply go for his yummy (albeit unhealthy) treats. Here’s one way to make your child choose the healthy goodies you prepared over candy. Arrange the food around his lunchbox the night before with your little angel’s help! Letting your child help with the preparations will make him feel proud of himself and his new skills. Let him daydream about being a top chef someday as he eats the food he prepared the night before during snack time. It makes a child proud to be able to say he prepares his own meals.